Puddle like a pro! 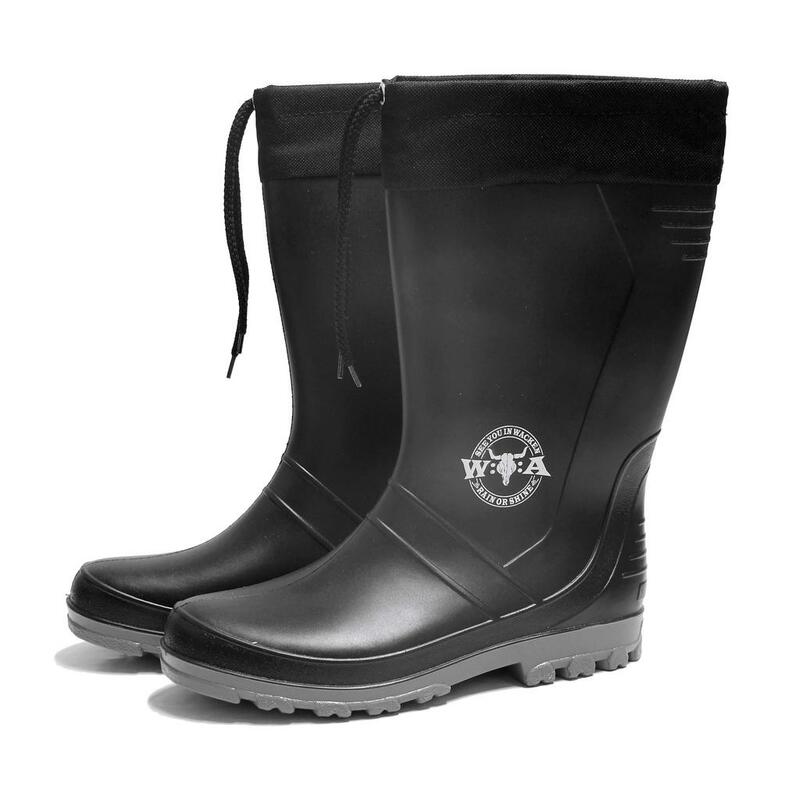 These official W:O:A rain boots in plain black with laces keep your feet warm and dry wherever you go. 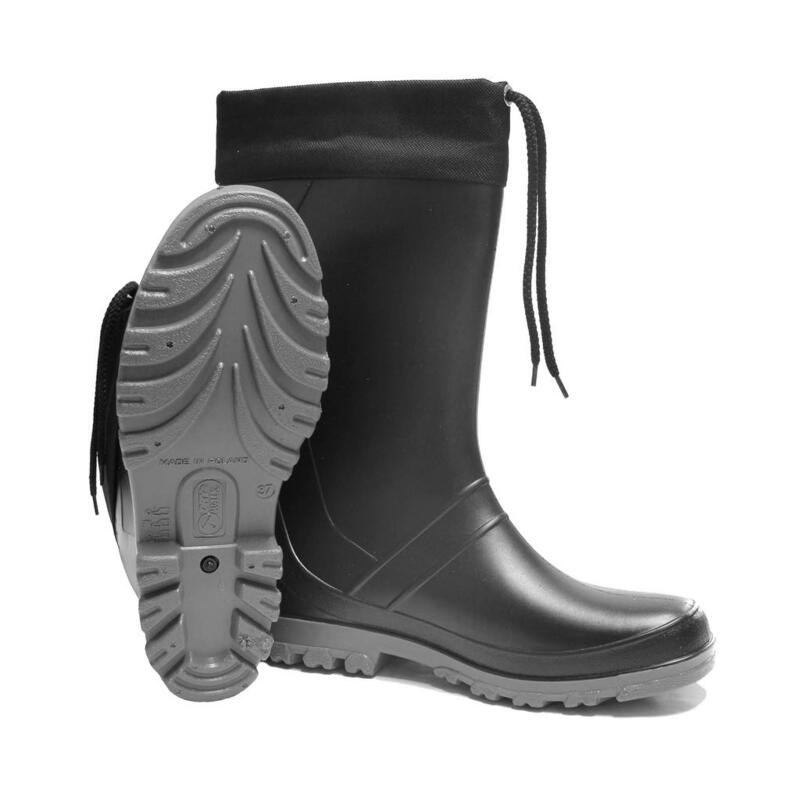 Even on a muddy ground, the grey highlighted soles with deep treads keep you stable. It comes with a plain design and the W:O:A slogan- see you in Wacken- rain or shine- printed on it . It’s a useful eyecatcher for your next heavy metal mission or outdoor experience.